Courses in Modern Greek will be offered from the end of April 2019 to the middle of November 2019. They may last one, two or more weeks, according to the wishes of students. Nikos Dais, the main teacher of the courses, is a native speaker of Greek and specialized in teaching Modern Greek as a foreign language to international students. He is also fluent in English, French and Italian. Intensive courses will be offered for two to four hours from Monday to Friday. Regular courses will be offered for fewer hours according to agreement. The courses are addressed both to individual students (private lessons) and to small groups of students who have a similar level in Modern Greek, whether they are beginners, intermediate or advanced. The method of instruction will be conversational and creative, including writing and homework. It will enable students to advance fast and enjoy speaking and writing in Greek. Each lesson will contain a small section on Greek culture. Songs, poems and interesting information on Lesbos and Eresos, will complement the linguistic work and offer insights into the soul of the people. Books and other teaching materials will be provided by the Greek Courses. Coffee, tea and biscuits as well. For individual students two hours daily are recommended. For groups of two or three students, three hours are needed. Lessons will be given during the morning. The weekends will be free for sightseeing and relaxation. 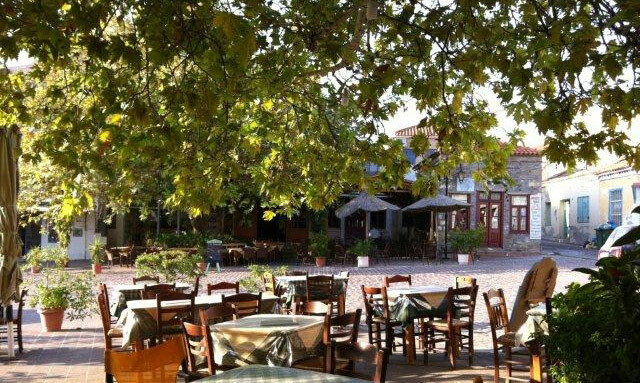 Every course will include a dinner in Skala (the seaside resort) or in the upper village of Eresos, offered by the Greek Courses. A visit to the archaeological museum of Eresos, and a guided tour of the remains of the ancient acropolis and port. Also a presentation of life in the ancient city-state of Eresos, and of the unique system of direct democracy and its important differences from modern representative systems. A visit to the beautiful valley of Eresos and its chapels, probably built at the sites of ancient shrines. 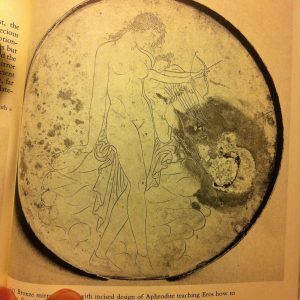 This will be combined with the discussion of the poetry of Sappho, the legendary poetess who was born in ancient Eresos. 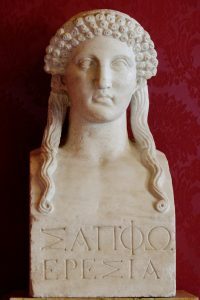 The participants will be invited to respond and contribute their thoughts on some of Sappho’s poems. 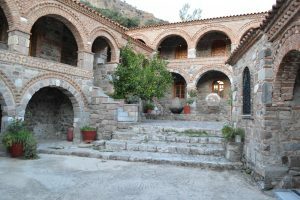 A visit to the impressive gorges of the Pythari monastery and its lake, followed by a stroll through the cobbled streets of the stone-built village of Eresos, situated four kilometres inland from the beach. 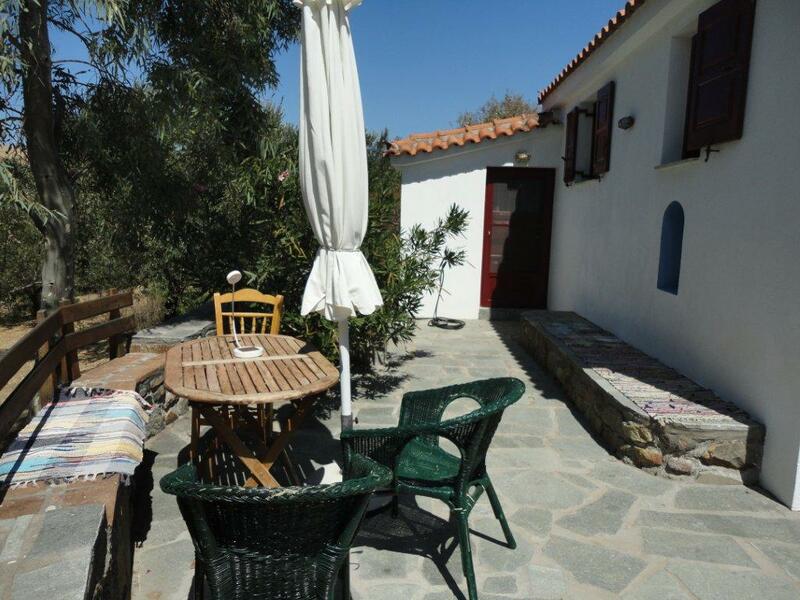 Students are welcome to stay at the Oleander House, which is situated on the beautiful slope of a hill that overlooks the valley and beach of Eresos. 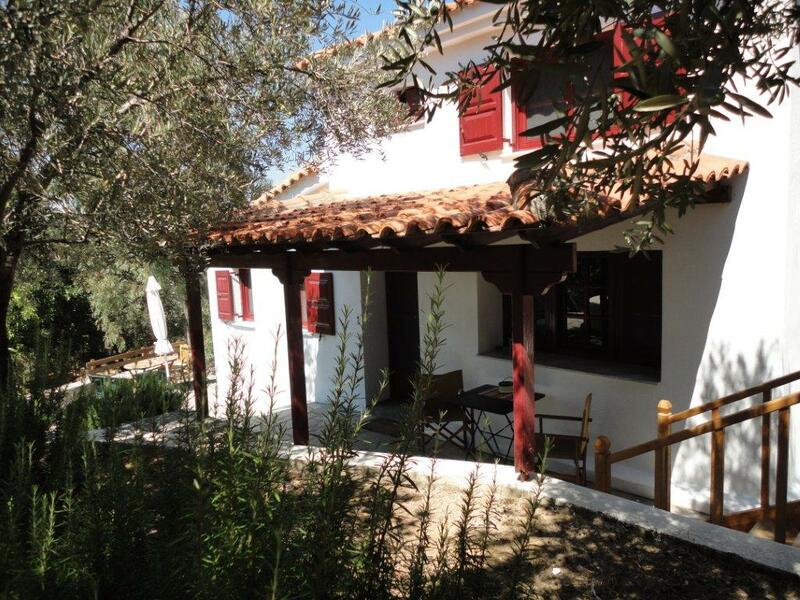 Surrounded by oleanders, olive trees and oaks, the house is about 90 sq.m2 and can accommodate up to three persons. Its attic has one large bedroom with double bed, connected by staircase to a living room with sofa bed, both forming one space which is air conditioned. 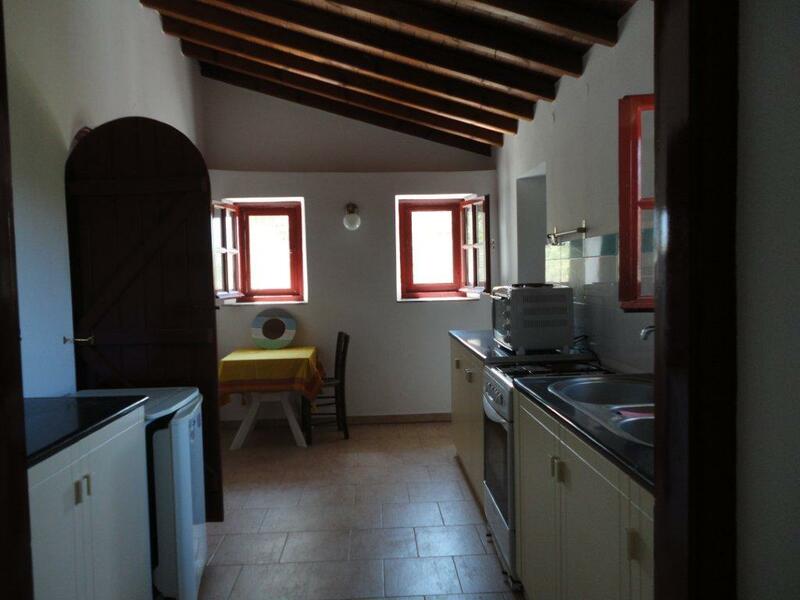 It also has a large kitchen, large toilet with shower, and a separate small bedroom (not air conditioned) with single bed and door to the veranda. There is also a second (external) toilet about 15 meters away. 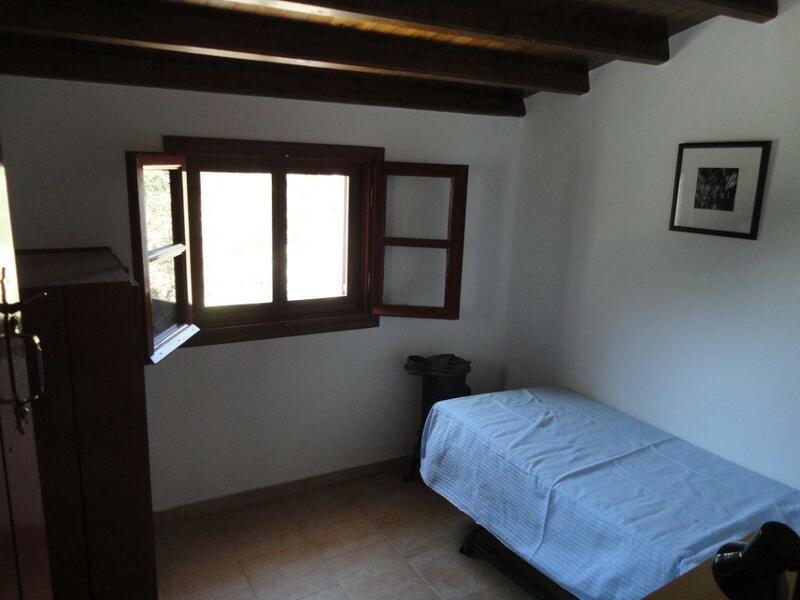 The Oleander House has many windows which invite the summer breezes and is also supplied with fans. All windows and doors have screens, which prevent flies and other insects. 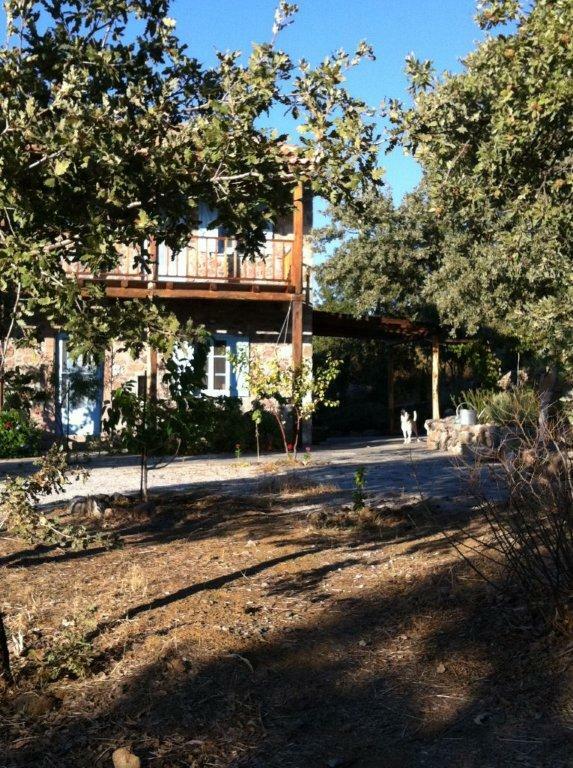 It also has three verandas and a lower yard with hammocks. The house is fully equipped with appliances and utensils, and a washing machine is available in the storage house nearby. 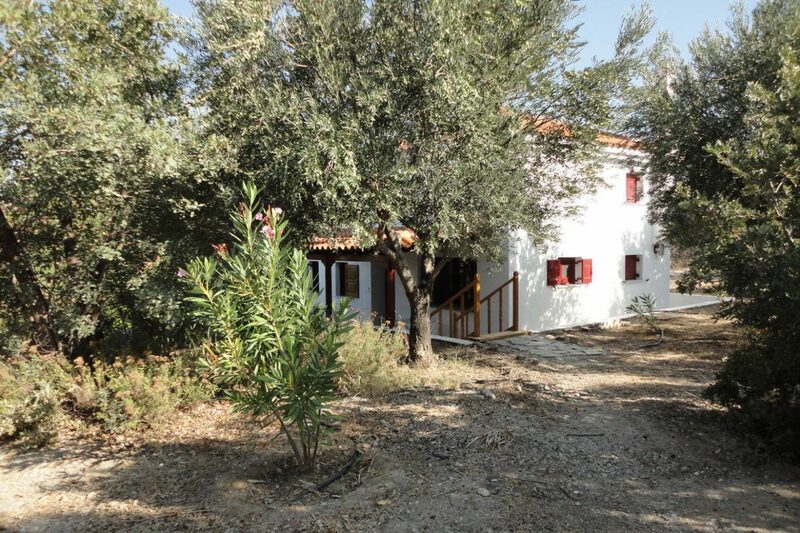 The property is extended (about 9000 m2) and full of oaks and olive trees, as well as many kinds of birds. 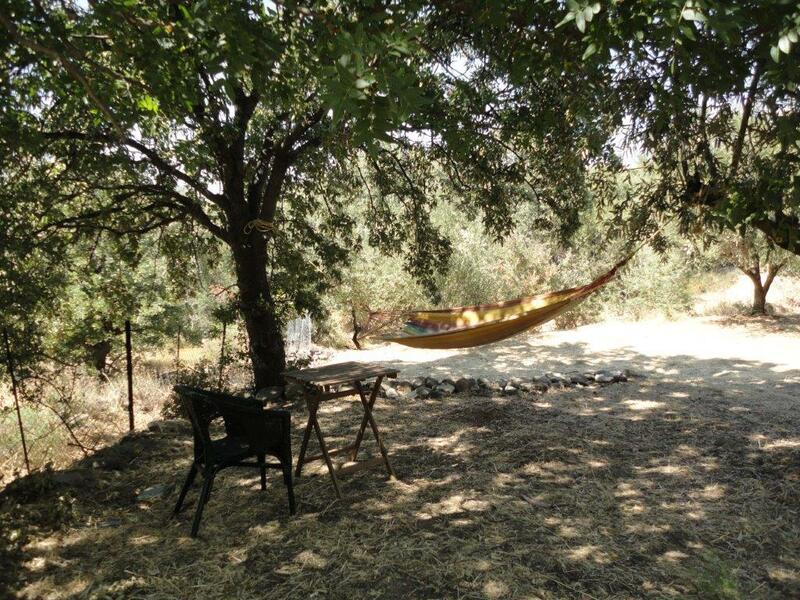 It is situated in a most quiet area of the Eresos countryside, ideal for reading, walking, birdwatching (Lesbos is notable for this) and relaxing on the hammocks. It is about ten minutes by car or forty minutes on foot from the seaside settlement of Skala Eresos, following a winding dirt road. May: 50 euros, June: 55, July: 65, August: 75, September: 65, October: 50. The classes will take place in the shaded yard of the Oak House (the teacher’s house), situated about 25 metres away from the Oleander House, within the same property. 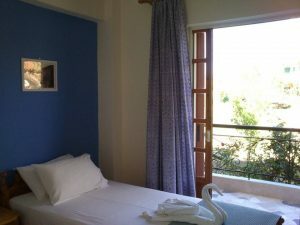 Students who wish to stay close to the beach, may rent one of the Paradise Studios, located at Skala Eresos. 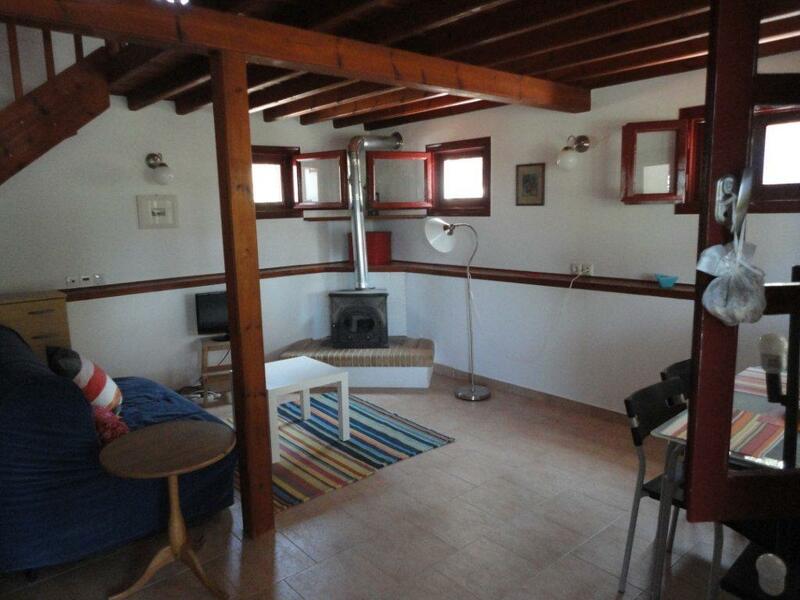 They are at a five-minute walk from the sea and the village square, very close to supermarkets, coffee houses, bars and taverns. 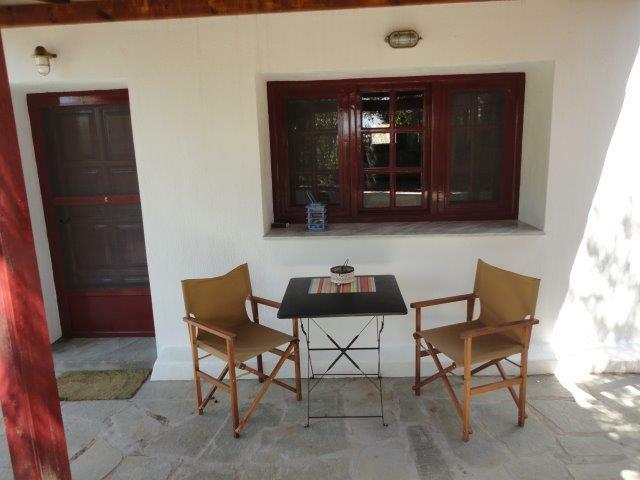 Note: if you prefer to arrange your accommodation in Eresos on your own, you are still welcome to attend the Greek Courses. In this case you will only pay the tuition. In your email please state the length of your stay in Eresos and the number of teaching hours per day that you wish to have. Please describe your level of Modern Greek, both written and spoken, and whether you have any knowledge of Ancient Greek. You may add any preferences and interests you have in literature, history, music, dance or other aspects of Greek culture. In order to confirm your registration, you will be asked to pay in advance 20% of the total cost, which includes tuition and accommodation. You can pay the remaining sum when you come to Eresos. Refunds will be given up to two months before your arrival. No refunds will be given after this point, but you can use your advance payment for another course in the future. Note: in case you have arranged your accommodation in Eresos on your own, your advance payment will only regard the tuition fees. If your stay is relatively short, we recommend that you rent a car, which you will receive when you arrive at the airport. In this way you will drive the 95 kilometres from the airport to Eresos (a taxi will cost you about 100 euros one way), you will commute daily from our property to Skala and you will be able to tour the big island of Lesbos. Please ask the rental company for a car slightly higher than average, so that it can handle better the narrow dirt roads of our area.